The new iPhones arriving in the 2018 refresh should be priced comparatively with the iPhone 8, iPhone 8 Plus, and iPhone X, according to one report, with the highest cost "iPhone Xs Max" potentially having the same base cost as the iPhone X at launch. 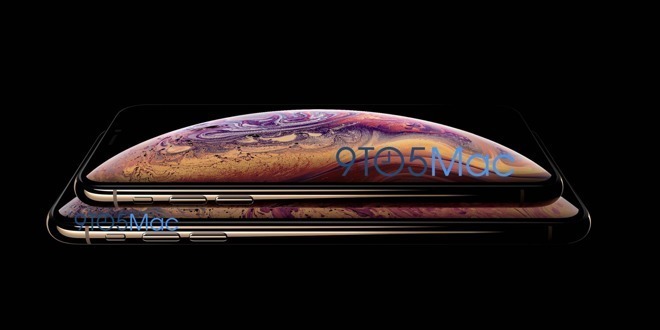 The lowest-priced 2018 iPhone is tipped to start from 799 euro ($929) when it ships, according to sources of Macerkopf, while the "iPhone Xs" and the "iPhone Xs Max" will be priced at 909 euro ($1,056) and 1,149 euro ($1,336) respectively. It is noted that the alleged price for each of the three 2018 iPhones mirrors the pricing of the 2017 releases when looked at as a group, with the cheapest new iPhone at the same cost as the iPhone 8, and the most expensive supposedly the same as the current iPhone X price. All of the reported prices for the incoming iPhones are said to be for their respective 64-gigabyte capacity models. The surcharge to upgrade to a 256-gigabyte model is thought to be the same as for the current generation, increasing the cost by 170 euro ($197) for each model. While seemingly logical, the publication notes it is difficult to estimate the pricing Apple will use for the new models, noting that despite receiving accurate information from the sources in the past, it is not guaranteed to be correct. Apple is currently expected to reveal three iPhones at its September 12 event, with two OLED models equipped with 5.8-inch and 6.5-inch screens seemingly upgraded versions of the current iPhone X. A third model, equipped with a 6.1-inch TFT LCD, is thought to be the cheapest model of the three, complete with more restrained specifications compared to the other two premium models.